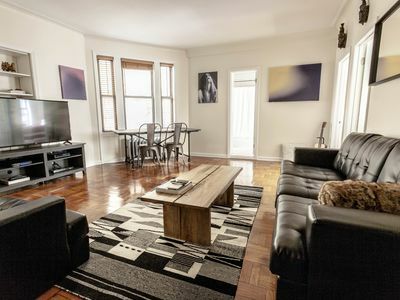 Located in the very heart of bustling Manhattan this spacious two-bedroom apartment is just steps away from it all. 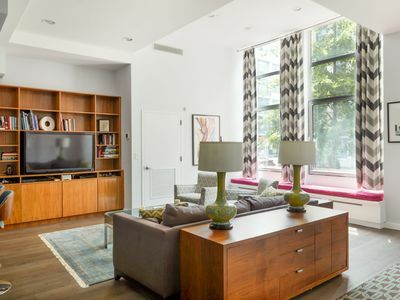 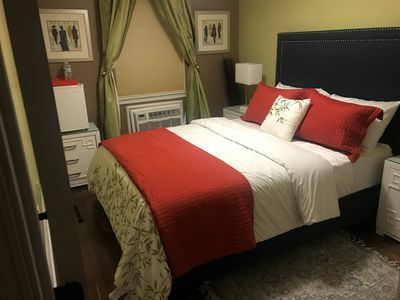 Four blocks from Central Park, and walking distance to Radio City Music Hall, Rockefeller Center, The Museum of Modern Art, Saint Patrick's Cathedral, Carnegie Hall and dozens of other world famous attractions. 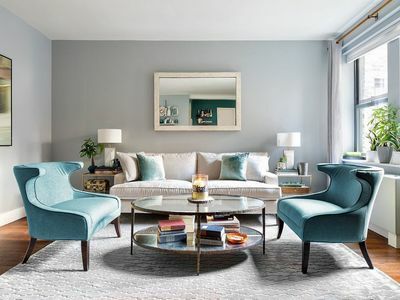 With world class shopping and dinning in the neighborhood, including michelin star restaurants and top designer fashion outlets the options are endless. 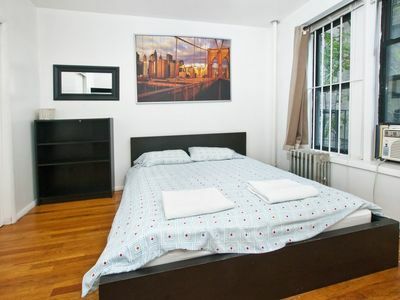 Broadway, Times Square, and the Theater districts are nearby as well so entertainment options abound. 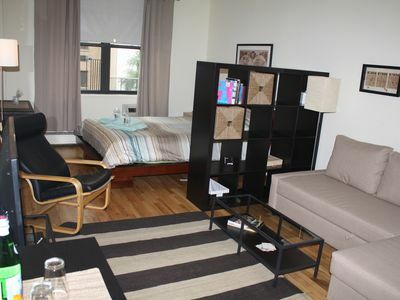 Subways lines are numerous and transportation easy in the area which enjoys great taxi coverage. 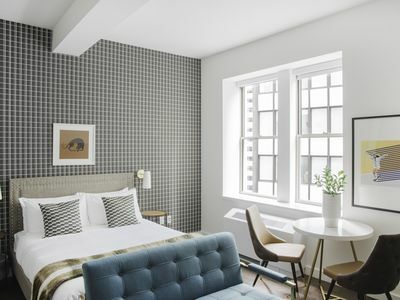 Decorated in an industrial chic fashion as an homage to the past life of the now renovated pre-war building which was at one period a clothing factory. 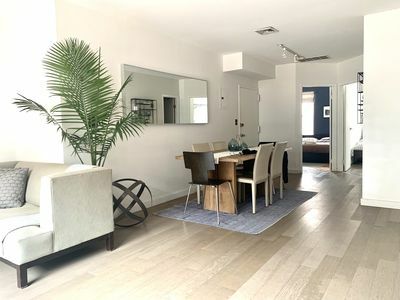 Spacious and with tall ceilings the apartment has a loft like feel and has large southern facing windows in each of the two bedrooms. 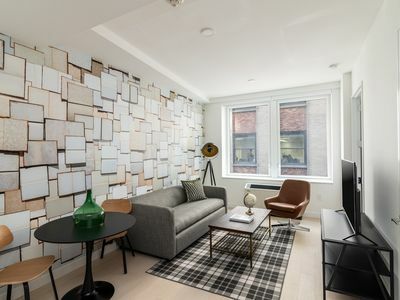 Original art and high-quality furnishings complete the feel and create a serene atmosphere, a juxtaposition in the middle of the one of the busiest cities in the U.S.. 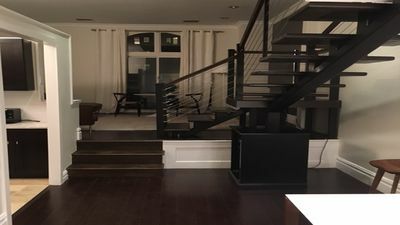 The building features an elevator, foyer lobby and grand marble main staircase. 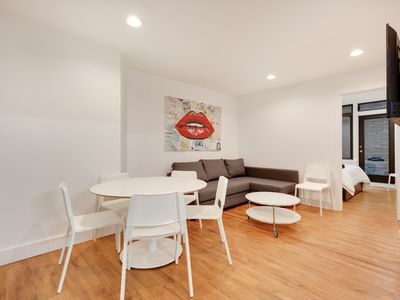 Sunny, clean studio apartment in the heart of Kips Bay. 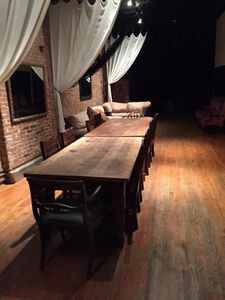 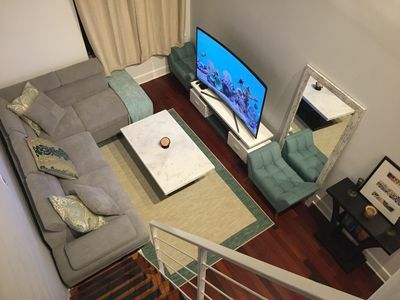 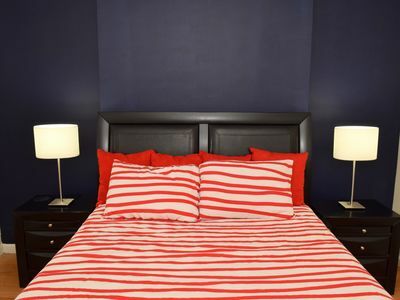 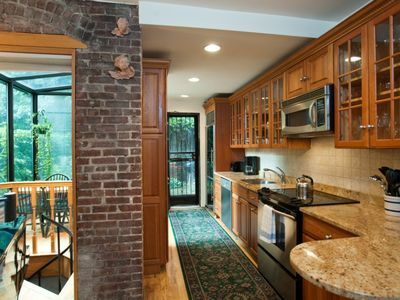 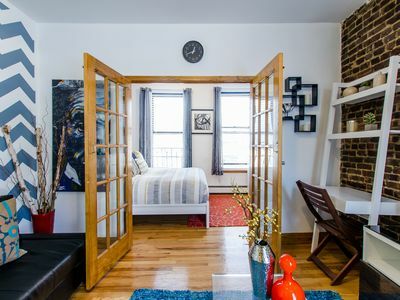 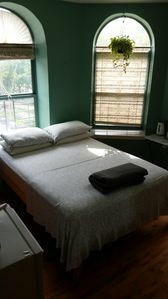 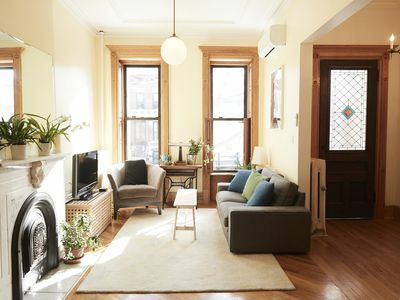 Lovely Private Bedroom & Private Bathroom in Brooklyn Condo. 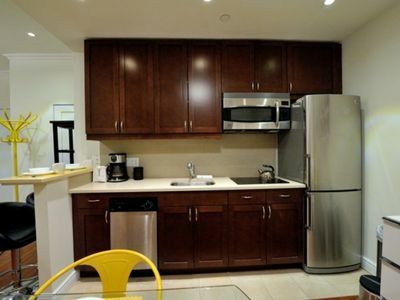 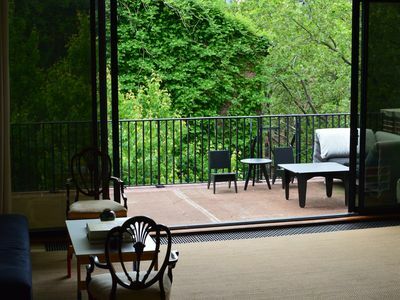 Beautiful Bright Renovated 2BR w Balcony sleeps 6!